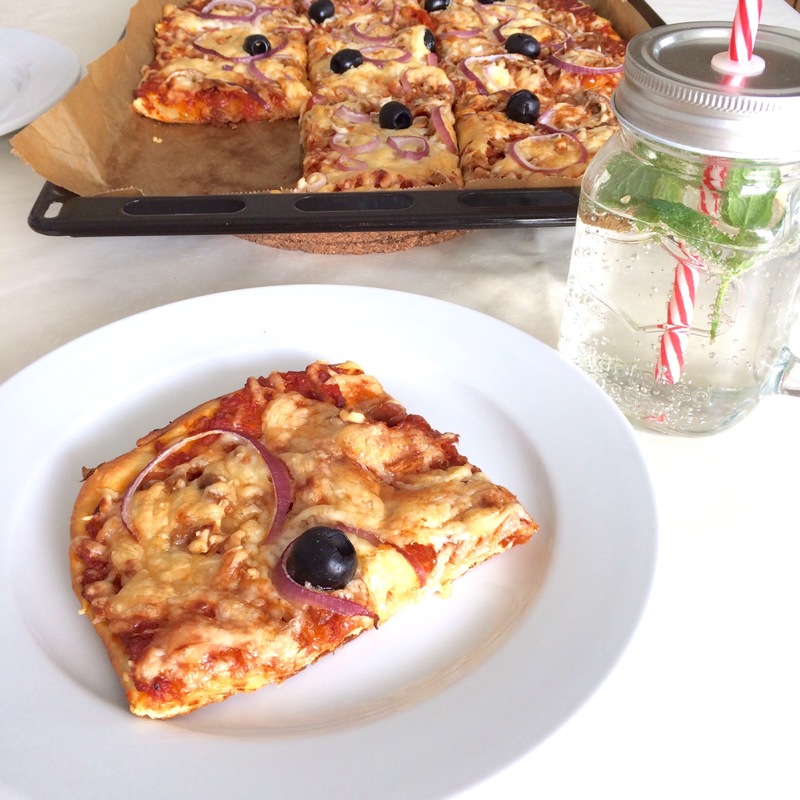 Here’s a recipe for all of the pizza lovers out there! Knead the dough to a good consistency, so that it’s smooth and doesn‘t stick to your hands any more. If necessary, add some of the missing ingredient. Put the dough into the fridge. Brown the chopped onions adding some butter to a pan. Then add the tomato paste and the carrots, season it with pepper and chilli and make it simmer. Add a clove of garlic, oregano and in the end about 1 teaspoon of salt. 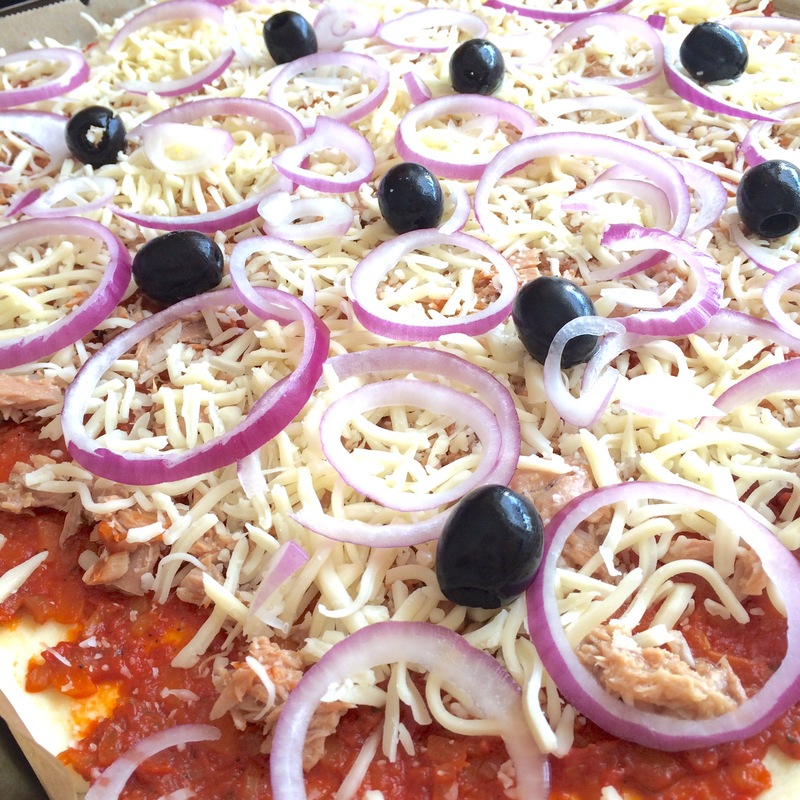 While the tomato sauce is simmering, prepare the topping of your pizza, in my case red onions, olives, cheese and tuna. Preheat the oven at 250 degrees upper and lower heat. Roll out the dough on a baking tray lined with parchment paper. 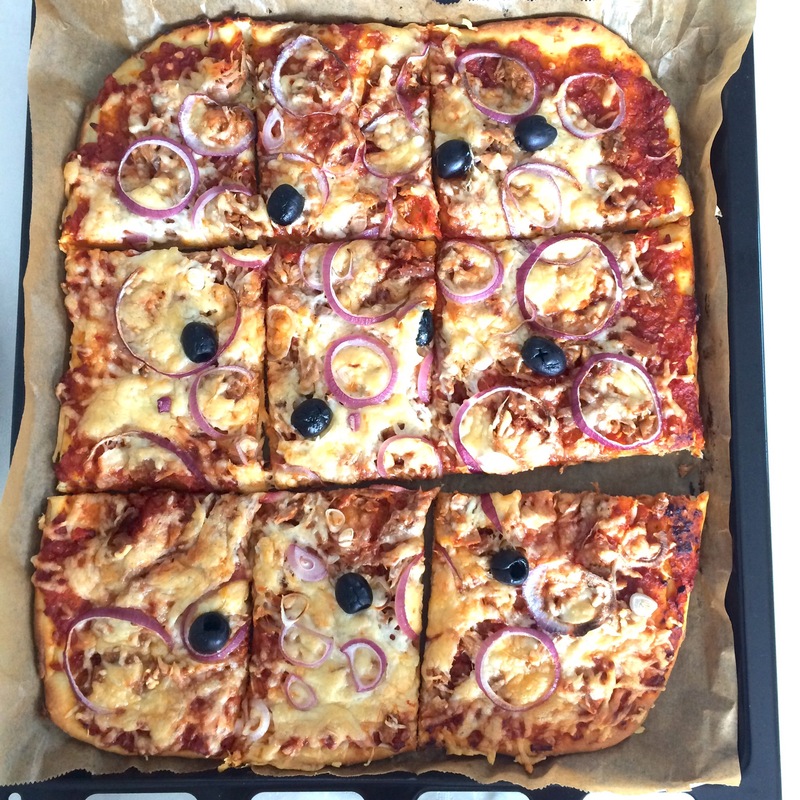 Spread some olive oil on the pizza and sprinkle it with a little salt. 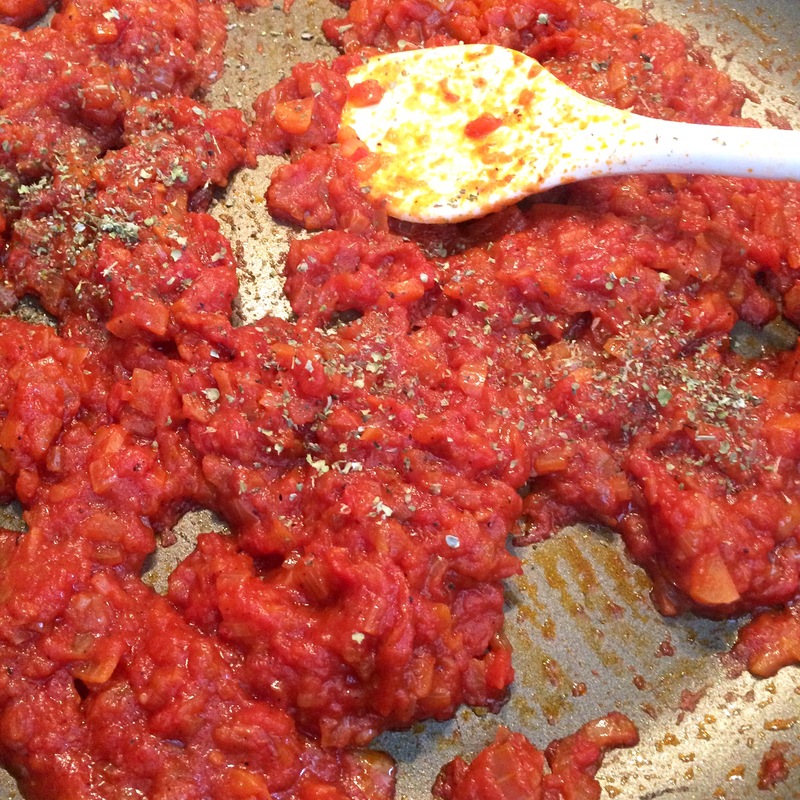 Now spread the tomato sauce over the dough and top it just as you like. 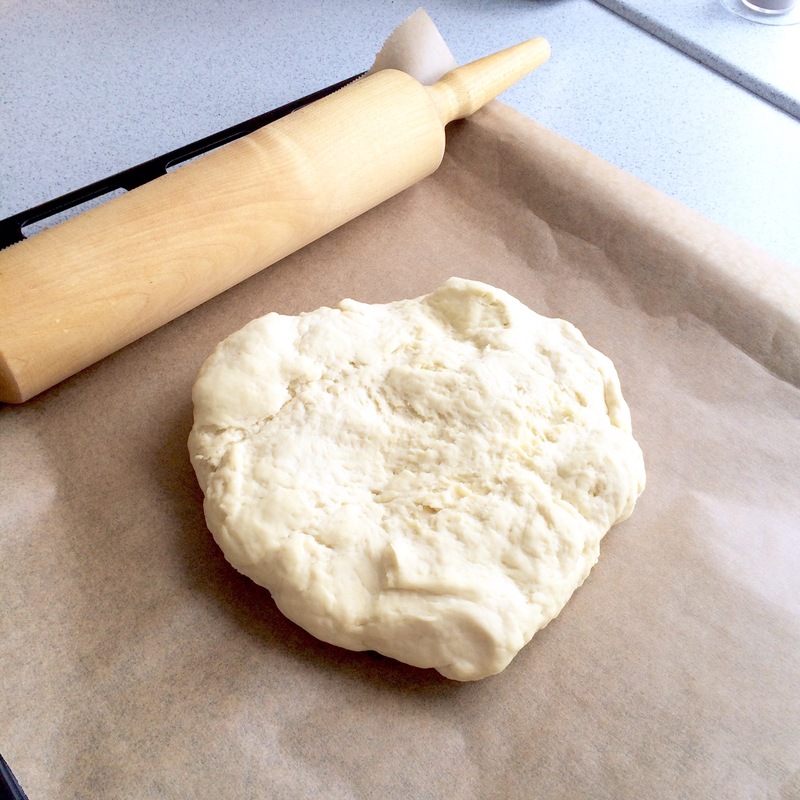 With a fork, make some tiny holes into the dough so that there won’t form bubbles while baking. Bake it about 15-20 minutes and enjoy!